Alliance of Chicago Trainers (ACT): is the training component of Coaching for Excellence. ACT is comprised of a variety of highly skilled and professional trainers who can teach a diverse selection of workshops for agencies, corporations and schools in the multi-faceted arena of interpersonal skills. Not only can ACT deliver a high quality workshop of your choice but it can also develop a workshop to your individual specifications. Some of our most requested topics are: managing diversity, relationship building, leadership skills, empowerment, child sexual abuse, grant writing, quality schools, choice theory/reality therapy, goal setting & attainment, effective communication skills, peaceful parenting®, stress management, teambuilding and substance abuse issues. ACT also has the ability to award much needed CEUs for its training to licensed social workers, counselors and teachers in the state of Illinois. 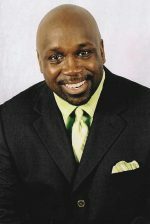 Marcus is a Certified Alcohol and other addictions counselor, internationally recognized motivational speaker, a Mentor, Life Coach and member of the National at Risk Educational Network. He inspires his audiences and those in his personal circle to identify their own greatness by his methods of empowerment and engagement. Darnell Baugh, has over twenty years experience in Higher Education. His professional background includes administration/management and teaching. As Associate Dean of Students, his responsibilities included student housing and part-time employment programs, mediation, judicial affairs, and providing advising services to international, non traditional, and at-risk students. 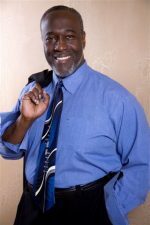 Sylvester is co-author of Leveraging Diversity at Work and provides training, consultation, and coaching for individuals, agencies, and other institutions. He provides training and workshops in the areas of, Cultural Awareness, Managing Conflict in the Workplace, Managing Our Value Systems, Negotiation, and much more. 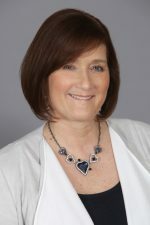 Kim has been involved with social service agencies since 1980, holding a variety of positions from case manager to Assistant Executive Director to Director of Training & Development, and several in between. She has also consulted with other agencies on training, leadership development, treatment programs and management styles. Kim is currently the Executive Director of William Glasser Institute-US and William Glasser International.